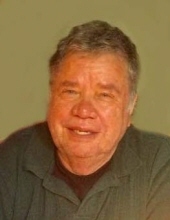 DARTMOUTH-Jose T. Araujo, 75, of Dartmouth, died Wednesday, April 10, 2019 at St. Luke's Hospital following a lengthy illness. He was the husband of Maria de Deus (Sousa Melo Laureiro) Araujo with whom he shared 48 years of marriage and son of the late Joao Araujo and Filomena dos Santos Botelho. Born in Agua de Pau, St. Michael, Azores, he came to this country in 1980 and resided in Dartmouth. Mr. Araujo was a parishioner of Our Lady Of Mount Carmel Church. He was employed as a machine operator at Acushnet Company for 25 years until his retirement. Mr. Araujo enjoyed spending time with his family, fishing, cooking, playing cards and was an avid Sporting CP fan. His family includes his wife, Maria de Deus Araujo of Dartmouth; 2 sons, Walter Araujo and Heldar Araujo and his wife, Marina, all of Dartmouth; 1 daughter, Barbara Cordeiro and her husband, Kris of Dartmouth; 1 sister, Maria do Carmo Cabral and her husband, Cristovo of Toronto, Canada; 7 grandchildren, Adam Araujo, Preston Araujo, Sebastian Araujo, Olivia Araujo, Sophia Cordeiro, Benjamin Cordeiro and the late Jack Cordeiro; several nieces and nephews. He was the brother of the late Manuel Araujo and Joao C. Araujo. Visiting hours in the funeral home Friday evening 6:00-8:00. His funeral will be conducted Saturday morning 7:30 at the funeral home with a Mass of Christian burial to be celebrated in Our Lady Of Mount Carmel Church at 8:30. Interment in St. Mary Cemetery. To send flowers or a remembrance gift to the family of Jose T. Araujo, please visit our Tribute Store. "Email Address" would like to share the life celebration of Jose T. Araujo. Click on the "link" to go to share a favorite memory or leave a condolence message for the family.